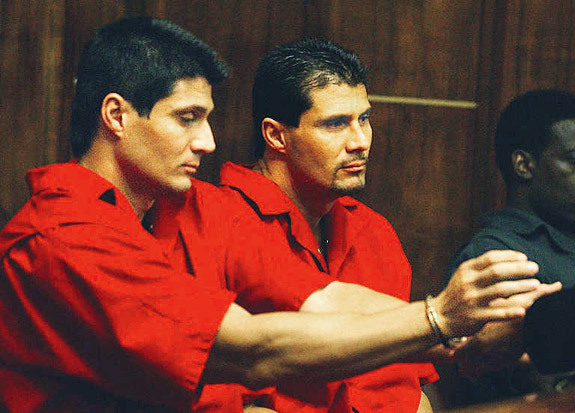 Jose Canseco was scheduled to fight on Saturday at a celebrity boxing event. However, just as the big match was about to go on, fans noticed that his tattoos were different. It turns out Jose sent his twin brother Ozzie in his place. There hasn’t been a bait-and-switch like this since Zach was supposed to go on a blind date with Mr. Belding’s niece and sent Screech instead. Not helping matters is the fact that Jose texted the promoter “You have to pay him” when “Jose” demanded cash up front. The promoter didn’t pay up and now he wants the $5,000 that he paid Jose earlier back. When I was a kid, I always dreamt of having a twin and wreaking havoc on the world. We could take each other’s tests, date each other’s girls, go to each other’s jobs, and fight in each other’s celebrity boxing matches. It would be hilarious. If you ever saved your twin’s life, you would have it made. He’d basically have to do anything you didn’t want to do in your place. I wish I had someone like that for my community service in Hoboken.